Stocks of 1x2m aluminium stage panels have once again been bolstered to meet ever increasing demand for lightweight staging requirements. 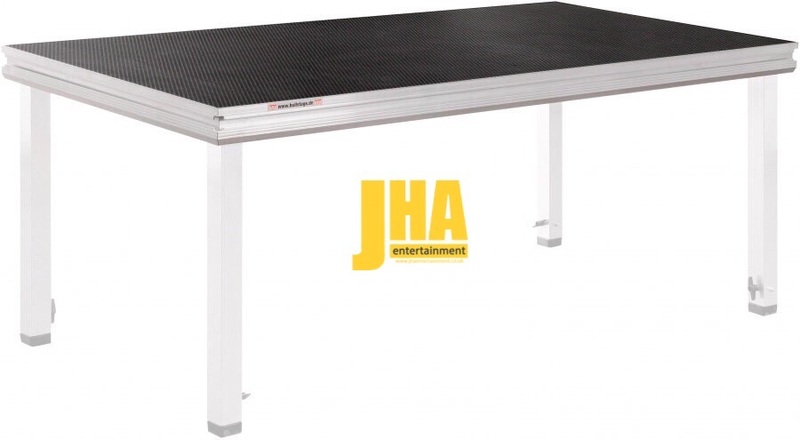 Stock levels have now been increased to 54 units of 1x2m deck and various other useful sizes for use as tables bars and DJ risers. Stage legs of various heights between 10cm and 100cm are also carried from stock. Stage valance and railings and steps are also available for all stage heights and sizes.